This is your streaming TV why choose a FireStick or Fire TV device. Why Choose A Fire Stick. 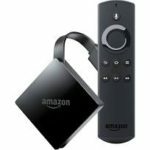 The fire Stick or Fire TV is one of the hottest streaming media TV devices out there right now. It is a great low cost streaming device that can easily unlocked so you can add more programming. That make the possibilities end less. Stream the best sports and movies and shows from around the world. This is a top alternative to using Kodi and more dependable using APK files. To learn how to unlock your FireStick or Fire TV click here. Mouse toggle is a program that will help you navigate thought the menus. For your guide how to install mouse toggle for your FireStick or Fire TV click here. For step by step guide how to install sports APK click here. If you need to learn how to install Movie APK click here. Here at Your streaming TV we take streaming very seriously. That is why we are here to help message us if you have issues you need help with or suggestions and you will get a prompt response.